Adorable 2 bed + den 2.5 bath home in GATED Village at Frank Lloyd Wright! Downstairs you'll find a spacious living area with soaring vaulted ceilings flowing to the dining area & kitchen, featuring abundant cabinetry, breakfast bar with plenty of counter space, and pantry. Powder room downstairs for guests. 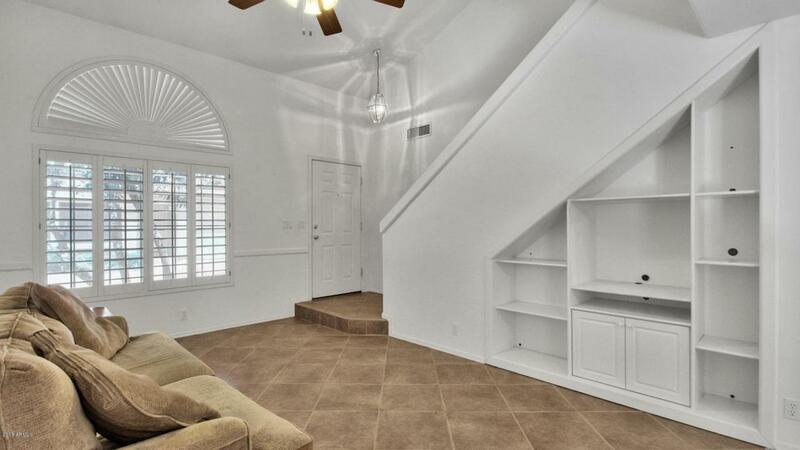 Bedrooms are upstairs with full guest bath and master bedroom with walk in closet and en suite bath with dual vanity. 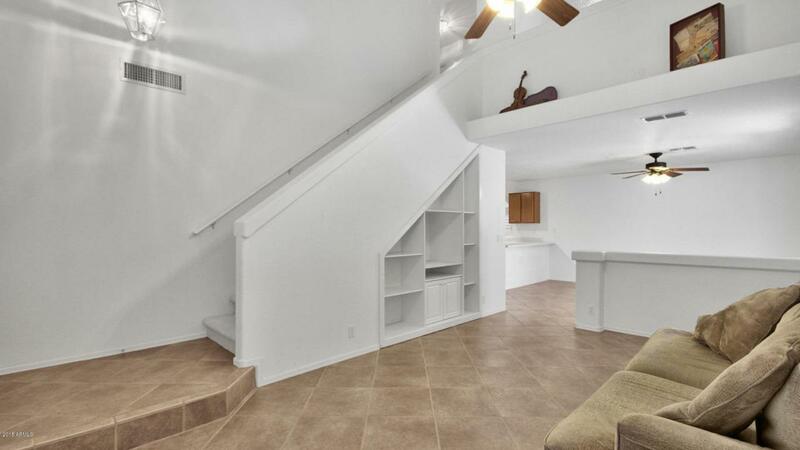 The home has been updated with NEW water heater (2018), plantation shutters throughout, NEW tile flooring upstairs, & includes water softener and all appliances. Private backyard with covered patio, perfect to enjoy your morning coffee. 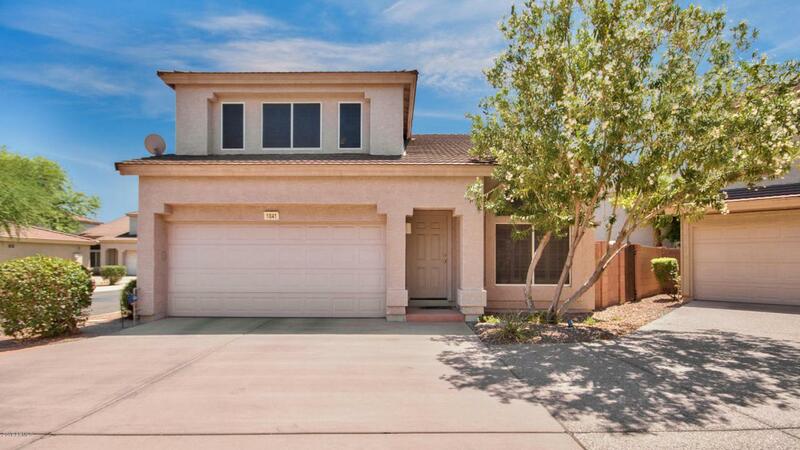 Well-maintained community with pool & spa. 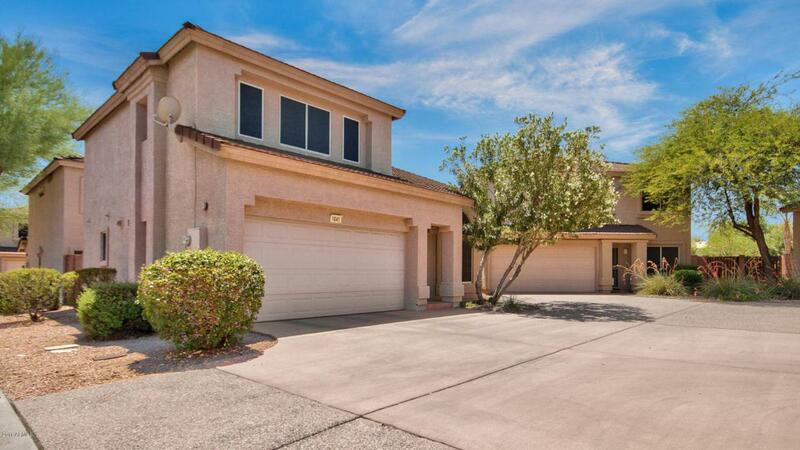 Easy freeway access to shopping, dining, & all the amenities N. Scottsdale has to offer!